Euroleague round 4 starts with an inauguration! Eurohoops chooses the match of the week, lists the full schedule and stands out some things that you need to know about Euroleague’s fourth round. The fourth round of the regular season is just 24 hours away, with seven matches taking place on Thursday and five on Friday. As there is not any traditional derby that will take place, the most important event of the week is the inauguration of Darussafaka’s Dogus new stadium! Check out the shedule of all games and you can collect TV Infos Via Eurohoops’ Game Center. There is not a significant traditional derby that will take place in Euroleague’s fourth round, so we chose this match for an important reason. 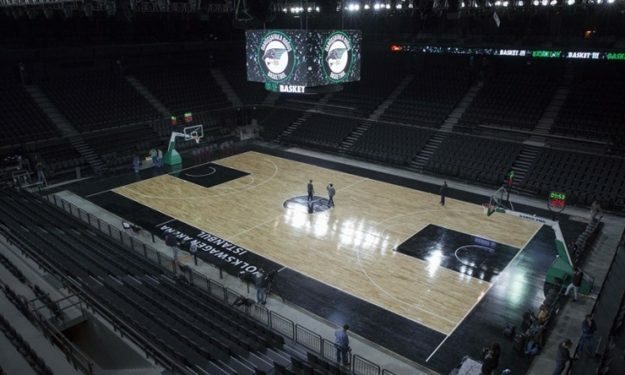 Euroleague’s newcomer Darussafaka Dogus will inaugurate their new, ultramodern, stadium on Thursday against CSKA Moscow! Certainly, they want to combine this historic event with a big victory, however their mission is very difficult, based on the team’s current performances so far. Oktay Mahmuti’s squad needs to drastically enhance their performance on both ends of the floor, in order to overcome “the Bear’s” obstacle and claim their second victory in the group. Dimitris Diamantidis is 9 points behind former team-mate and four-time Euroleague champion Sarunas Jasikevicius for eighth place on the Euroleague career scoring charts. Diamantidis enters this week’s game with 2,334 career points. Antonis Fotsis needs just 4 rebounds to reach the 1,000-rebound milestone in his Euroleague career. He will become the ninth player in competition history to achieve that feat. Juan Carlos Navarro tied former Spanish national team-mate Jorge Garbajosa last week for sixth place all-time on the Euroleague’s all-time steals charts with 224 career steals. Barcelona has defeated Zalgiris in 13 consecutive meetings and has an 18-1 record all-time against the club. Their first meeting was the 1985 Cup Winners’ Cup final, which Barcelona won 77-73 in Grenoble, France. Zalgiris’ only victory came in Barcelona, 98-102, in November 2004. Milos Teodosic needs 5 more three-pointers to catch retired CSKA star Marcus Brown for seventh place on the all-time Euroleague charts. Teodosic enters the game with 322 career triples. Sergio Llull is tied with CSKA Moscow great J.R. Holden for ninth place on the Euroleague’s all-time assists charts with 608 career assists. Fellow Madrid guard Sergio Rodriguez sits in 11th place with 607 assists. Jasmin Repesa coached Cedevita Zagreb during the previous two seasons. He led the team to back-to-back Croatian League and Cup doubles. He coached several members of the current Cedevita squad.